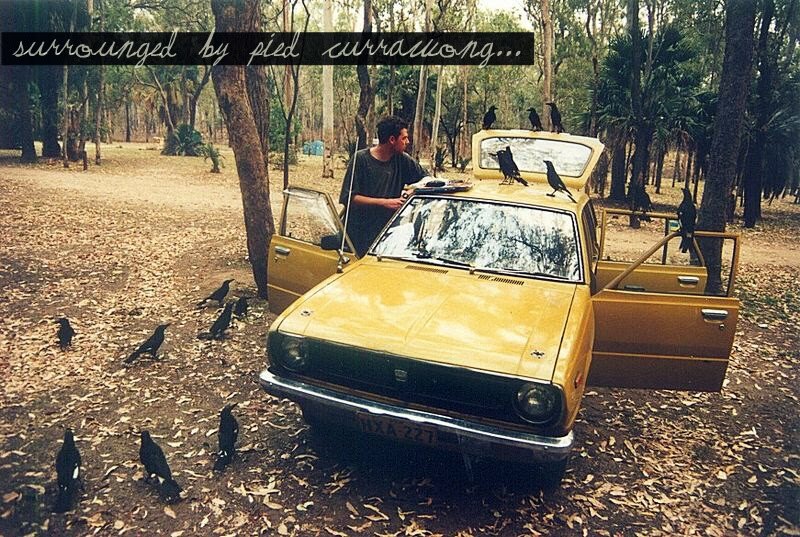 I found pied currawong species somewhere then I google it and I found this photo, this photo look so fantastic, I like that car, I wonder why that guy open all doors and bonnet, I like the way pied currawong surround that guy, seems like they want something from that guy. I do some photo editing on it. Then I blogged it for you.